It’s that time of the year when movie lovers look over film’s shoulder at the year that was and count down their picks for its best movies. 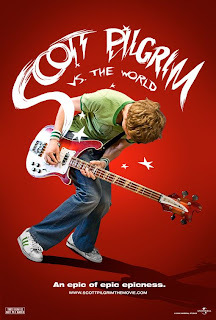 It’s been nearly a year since The Gibson Review first launched so I figured I’d count down the ten best - those films that were reviewed best by yours truly and some that weren’t featured on this site. This time, I’m not playing favorites. There may come a time when Film Faves circles back to this year, but not today. Now, I’ve seen a lot of this year’s movies (41 to be exact). But before I count down, I must first admit there are a few bright spots of the year that for one reason or another I have yet to catch, but fully intend to during the next couple months. Those films are: Animal Kingdom, Blue Valentine, Buried, Catfish, Cyrus, Dogtooth, Fair Game, The Fighter, Four Lions, Joan Rivers: A Piece of Work, The King’s Speech, Never Let Me Go, Rabbit Hole, Restrepo, Salt, Somewhere, The Tillman Story, and Waiting for ‘Superman’. The Coen brothers are among the great auteur filmmakers of our time. They might occasionally lean too much on quirk and despicable characters as in Burn After Reading and The Big Lebowski – which formed my love/hate relationship with their work - but they are undeniably talented, which is why we now have such great American films as Fargo, No Country for Old Men, and last year’s A Single Man. 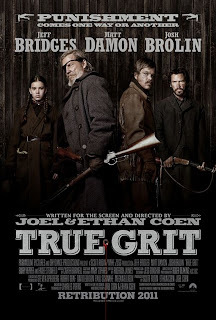 Now, the Coens can add True Grit, adapted from the novel by Charles Portis, to their list of great films. Plans have changed for the upcoming Gibson Revue: Winter Movie Marathon. It will still be held at 12:30p on Saturday, January 15, 2010. The difference is that due to some complications that come with screening movies in a public event, I have been forced to scale it back down. Instead of being held on campus with a crowd of folks from both The Evergreen State College and all over the South Sound area, it will once again be an intimate gathering with just you devoted readers at my house. This means the event is once again free of admission! And there will also be free food! So, how can you resist? Once again, join me for an afternoon of three movies - all love stories from the male perspective - with audience/host discussion and breaks after each film. 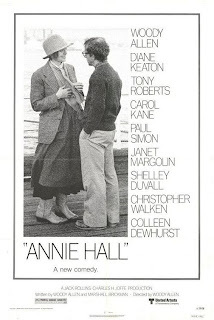 Annie Hall - the legendary and hilarious romantic comedy starring Woody Allen and Diane Keaton. 1hr. 33 mins. Last week, the Hollywood Foreign Press (via a couple famous celebrities) announced their nominees for next month’s Golden Globe Awards. 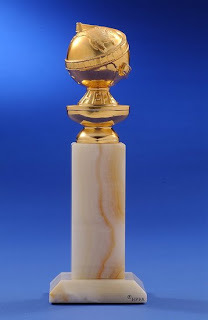 In the past, the Globes have earned credibility as an indication of the best picture nominees for the Academy Awards. But in recent years, the awards show has received some derision as nothing more than an industry frat party. This year’s nominees didn’t help. In 1982, Disney released a computer-generated special effects extravaganza that sent audiences into the world of technology, a world that at the time was still in its infancy. Accounting and security programs were sentient beings that lived on a physical plane of existence divided by blue and red neon highlights and used discs with their identity and information as weapons. It featured religious allegories with programs created in the user’s image and the idea of the existence of these creators as a persecuted religious concept. Unfortunately, TRON failed to use these ideas to say anything interesting. 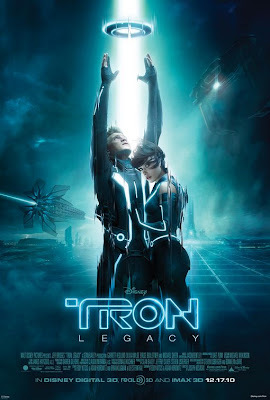 In hindsight, TRON is a cheesy, dated experiment with great unrealized ideas and bad dialogue. The wrinkles are currently being ironed out as preparations for the 2nd biannual Gibson Revue movie marathon are under way. Due to campus needs, there has been a change in the location of the event. It's still being held at The Evergreen State College campus. 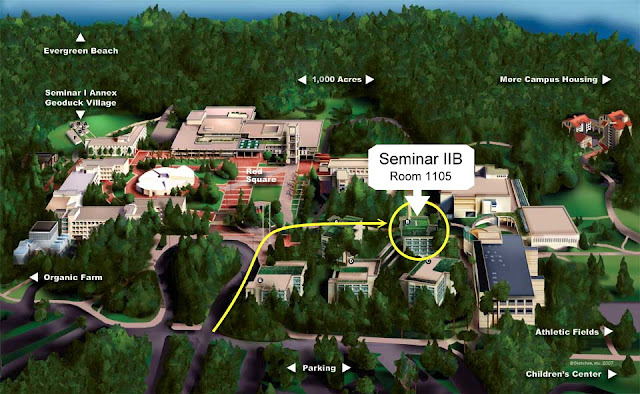 Instead of Lecture Hall 2, as previously announced, I will be hosting the event in Seminar II B, room 1105. If that sounds a bit more complicated it's because it is. But fear not! A map can be found below to help you find your way on campus. ﻿The Winter Marathon is still taking place on January 15, 2011. Featured are three films, love stories from the male perspective, with a short audience/host discussion and break after each film. 12:30p - Annie Hall, Woody Allen's legendary comedy that the AFI ranked as the 31st greatest American film and 4th greatest comedy of all time. Starring Woody Allen, Diane Keaton, Carole Kane, Paul Simon, and a slew of cameos. 1hr. 33mins. Getting into the Christmas spirit and looking for something to watch during the holiday season? Here is a list of a dozen movies and TV specials to help pass the time during the wet and chilly month. An updated re-imagining on A Christmas Carol with Bill Murray as a TV executive that exploits the holiday season in order to boost ratings. If you enjoy Murray’s droll performances of the ‘80s then this must not be passed up. 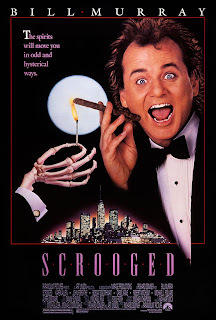 A Christmas Carol has been retold many times in different ways, but Scrooged must be the best update; after all, there are now cable channels devoted entirely to exploiting the holiday spirit. 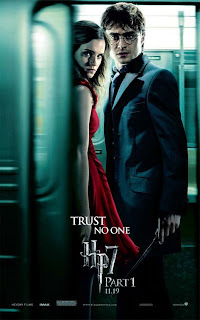 Directed by Richard Donner (Superman, Lethal Weapon series). Stephen King is best known for stories about the horrors we inflict on each other and the dark side of humanity. Perhaps that’s why so many were surprised that The Shawshank Redemption, a film about hope and friendship in the loneliest of places, surprised so many. 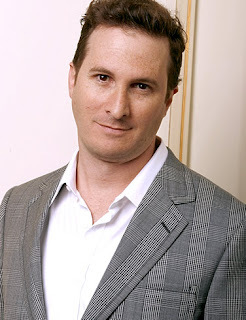 That picture was directed by Frank Darabont, who seems to take great interest in stories about the good in us shining through the darkest of situations, which is perhaps why he’s adapted such works as the aforementioned Shawshank, The Mist, TV’s current hit The Walking Dead, and 1999’s The Green Mile. 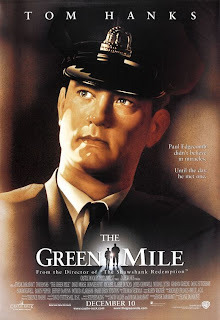 In case you don’t remember, The Green Mile begins with an old man, Paul Edgecomb, in a nursing home, thinking about the past. He’s so afflicted by his memories that he begins sharing them with a friend (a.k.a. the audience). This, an old man remembering astonishing days of the distant, serves as the framework for a three-hour-plus story. We live in a time of great modern technology, what with our iPods, Blackberries, streaming internet, and digital this or thats. We’re so connected to our own inventions we are almost completely removed from where we came from, the great outdoors. 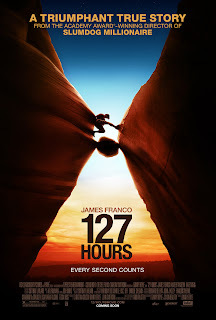 127 Hours is a movie about a man who in some ways is the opposite of a culture that wants to know everything we’re doing every hour of every day. He distances himself from everybody and enjoys getting outside alone. He tries to conquer nature, even going so far as to video record his efforts. This man, Aron Ralston, played by James Franco, takes a trip to canyoneer in the dry crevasses of Utah, free of any cellular connection to anyone, and finds himself in a bit of a jam, wishing he hadn’t cut himself off from everybody so cleanly. Join me, cinephiles, as I host this winter's 2nd biannual Gibson Revue. Featured are three love stories from the male perspective, with a short discussion and break after each. 12:30p - Annie Hall, Woddy Allen's legendary comedy that influenced hundreds of subsequent movies, including those in this marathon. Starring Woody Allen, Diane Keaton, Carol Kane, and Paul Simon. 1hr. 33mins. 3p - Eternal Sunshine of the Spotless Mind, the modern classic about the pain of lost love. Starring Jim Carrey, Kate Winslet, Elijah Wood, Kirsten Dunst, Tom Wilkinson, and Mark Ruffalo. Directed by Michel Gondry. 1hr. 48mins. Growing up in the eighties and nineties, action films seemed to almost always be about the three Bs: Big guns, Bulging muscles, and Babes. The bad guy always represented corruption (drugs, crime, financial power, or politics) or incited revenge (perhaps by wronging or endangering the good guy’s family). Sometimes that unlikely of evil, the terrorist, would rear its head. The good guys were guns-blazing anti-heroes, law enforcement, or martial arts experts. 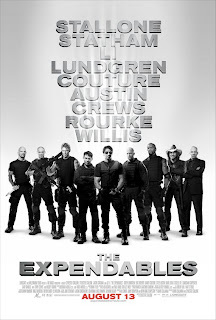 The movies themselves either became classics of the action genre (Die Hard, Predator, First Blood, Escape from New York, for example) or were clichéd formula pictures with forgettable titles that were mediocre at best (Hard Target, Hard to Kill, Eraser, The Specialist). Most of the time, regardless of quality, they gave us cool stunts or creative kills.